The first design of the foldable car. If you output your existing car model to a 3D printer, it is difficult to produce clean results because you need support, or you can not express the bottom part of the car. If you do not want to use the support, you need to assemble several parts and it takes a long time. However, the folding design does not require any support, so it is possible to express all parts neatly and print at once. This was the first car to be folded, so we had to find a new structure. This basic structure refers to the structure of the folding robot-K that I designed before, and it was designed by sliding the lower part of the car. Normal cars have a lot of curves and are difficult to model. 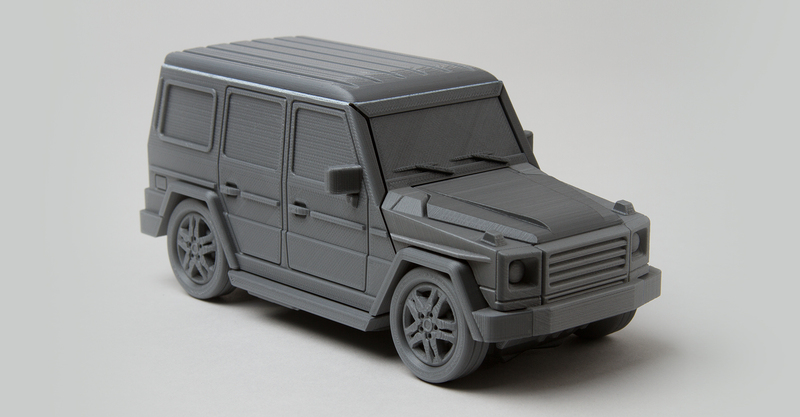 Therefore, we chose Benz's G-wagen, which is easy to model because there is no curved surface. 1. The design opens the hood and allows the engine to be seen inside, revealing the details inside the engine. 2. You can fold and unfold spare tires on the back of your car. 3. The wheels rotate as well. Based on this structure, many foldable cars will be introduced in the future. I hope you have many expectations!